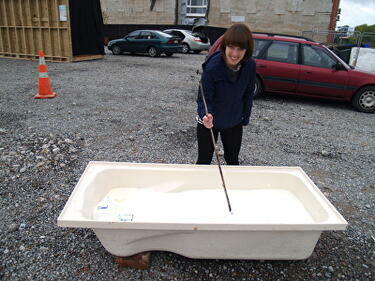 A photograph of Netta Egoz stirring a bathtub of milk before Gaby Montejo's Milk Fight event. 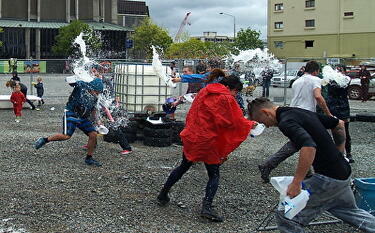 This dairy-fuelled urban food fight was part of FESTA 2014, and was held on the former Convention Centre site at 100 Peterborough Street. 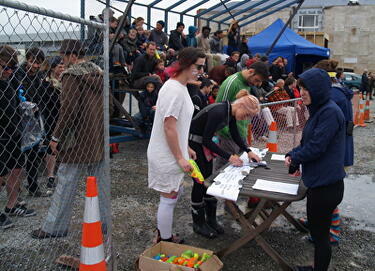 A photograph of participants signing in at the registration table for Milk Fight - a dairy-fuelled urban food fight by local artist Gaby Montego. The event was part of FESTA 2014. 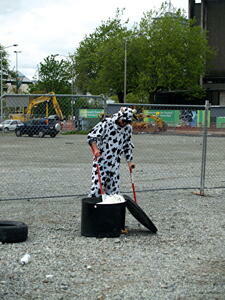 Milk Fight was held on the former Convention Centre site at 100 Peterborough Street. 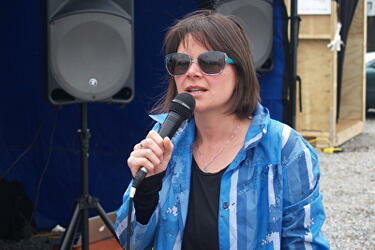 A photograph of Melanie Oliver (Director, The Physics Room), addressing participants and spectators at Gaby Montejo's Milk Fight. 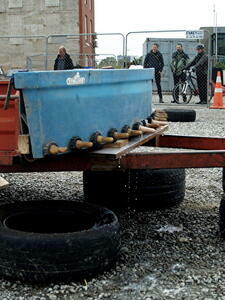 This dairy-fuelled urban food fight was part of FESTA 2014, and was held on the former Convention Centre site at 100 Peterborough Street. 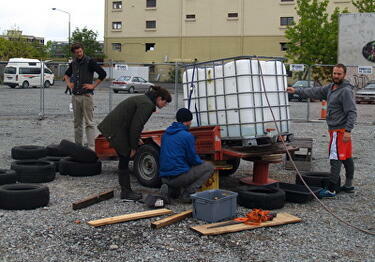 A photograph of artist Gaby Montejo (right) and volunteers preparing for Milk Fight - a dairy-fuelled urban food fight which was part of FESTA 2014. 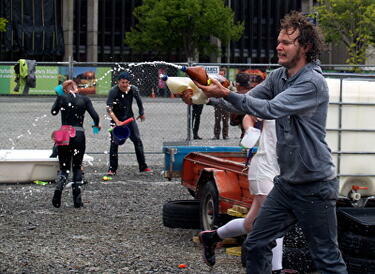 Milk Fight was held on the former Convention Centre site at 100 Peterborough Street. 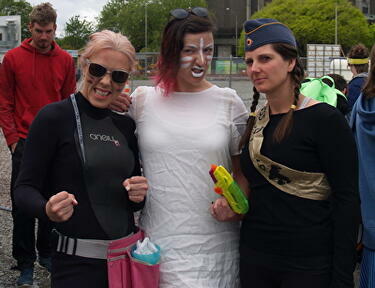 A photograph of Milk Fight participants Hera Hjartardottir, Audrey Baldwin and Brie Sherow, before the start of the event. Milk Fight was a dairy-fuelled urban food fight by local artist Gaby Montejo. The event was part of FESTA 2014. 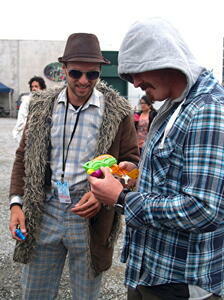 A photograph of Ryan Reynolds (left) and a participant in Milk Fight, before the start of the event. 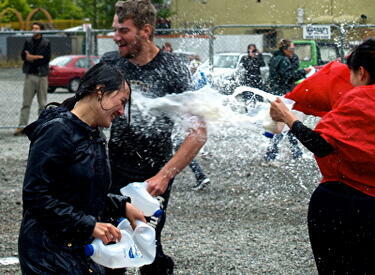 Milk Fight was a dairy-fuelled urban food fight by local artist Gaby Montejo. The event was part of FESTA 2014. 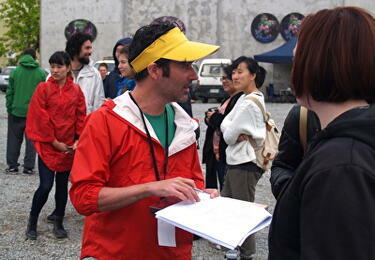 A photograph of Nick Sargent collecting details from participants before Milk Fight - a dairy-fuelled urban food fight by Gaby Montejo. The event was part of FESTA 2014. 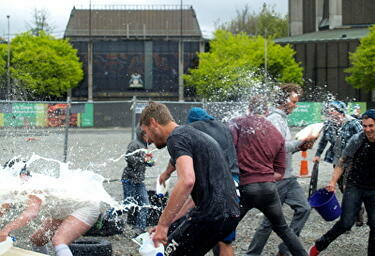 Milk Fight was held on the former Convention Centre site at 100 Peterborough Street. 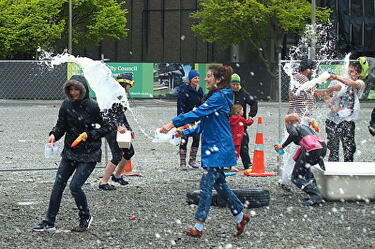 A photograph of Gaby Montejo's Milk Fight - a dairy-fuelled urban food fight, which was part of FESTA 2014. 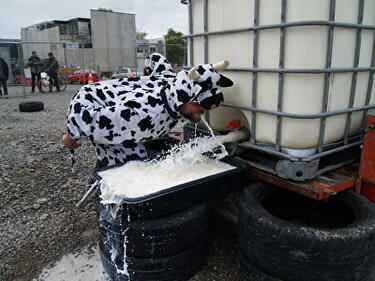 Milk Fight was held on the former Convention Centre site at 100 Peterborough Street. A photograph of local artist Gaby Montejo in a cow onesie. Montejo is drinking from a large tank of milk before his Milk Fight event. Milk Fight was a dairy-fuelled urban food fight, which was part of FESTA 2014. 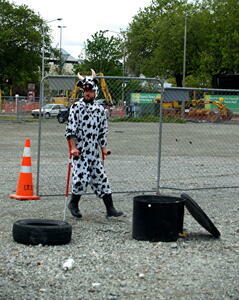 A photograph of local artist Gaby Montejo in a cow onesie before his Milk Fight event. Milk Fight was a dairy-fuelled urban food fight, which was part of FESTA 2014. It was held on the former Convention Centre site at 100 Peterborough Street. 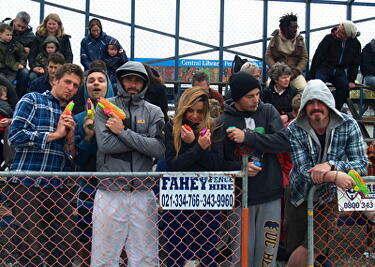 A photograph of participants armed with waterguns before the start of Gaby Montejo's Milk Fight - a dairy-fuelled urban food fight, which was part of FESTA 2014. 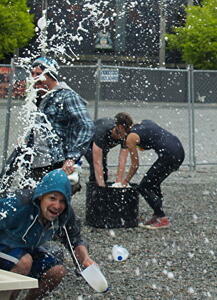 Milk Fight was held on the former Convention Centre site at 100 Peterborough Street. 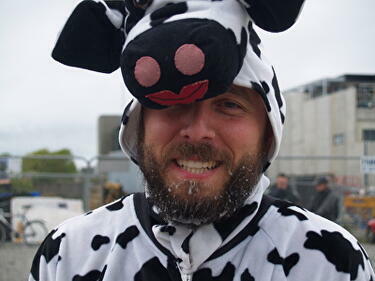 A photograph of local artist Gaby Montejo in a cow onesie, before his Milk Fight event. Milk Fight was a dairy-fuelled urban food fight, which was part of FESTA 2014.